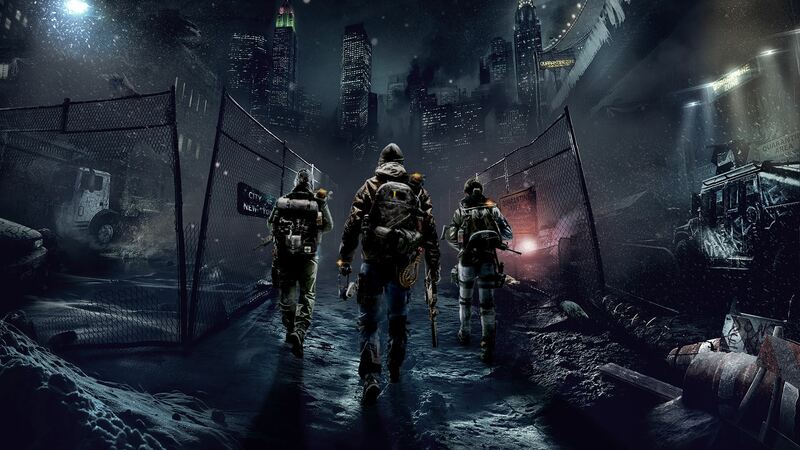 It took the official Xbox Store quite some time to set up the digital pre-orders for Tom Clancy’s The Division, but they have finally managed it and just in time before the long holidays around Christmas and New Year start. Let’s take a closer look at what we have got here and why the National Guard Set causes more confusion than ever before. You have to pay around £54.99 for the Standard Edition and £79.99 for the Gold Edition of the game, while the Season Pass can’t be pre-ordered at the moment, but will most likely follow soon in the future when its contents are revealed. 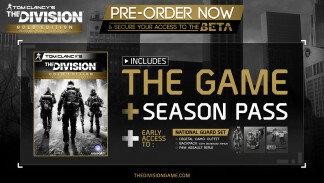 In case you want to pre-order the game, you will get guaranteed beta access and the unique “Hazmat” pack. Moreover you can get a Rainbow Six Siege Pre-order Currency Pack to receive 1200 Rainbow Credits. As of now, the beta will start somewhere early 2016 on all platforms – no official date has been communicated yet. National Guard Set Exclusivity Gone? Very strange and maybe misleading are the details of the Season Pass on the Xbox Store page. 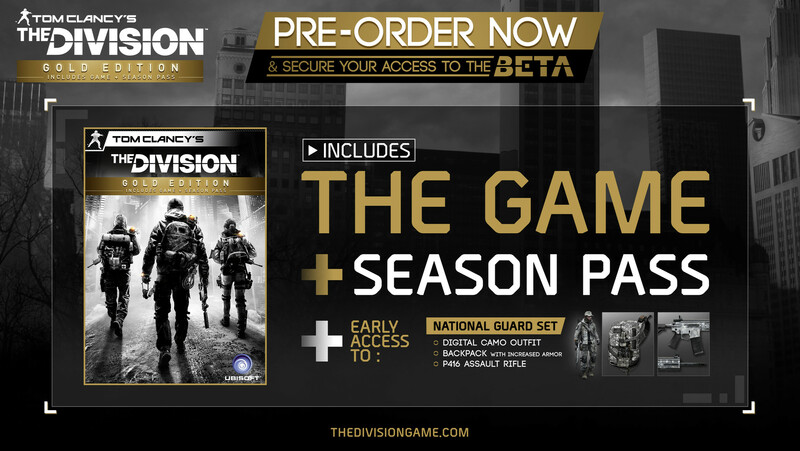 According to the bundle info, the National Guard Set, which should be only available in the Gold Edition and therefore exclusive content, seems to be also part of the Season Pass, which is also included in the Sleeper Agent Edition. 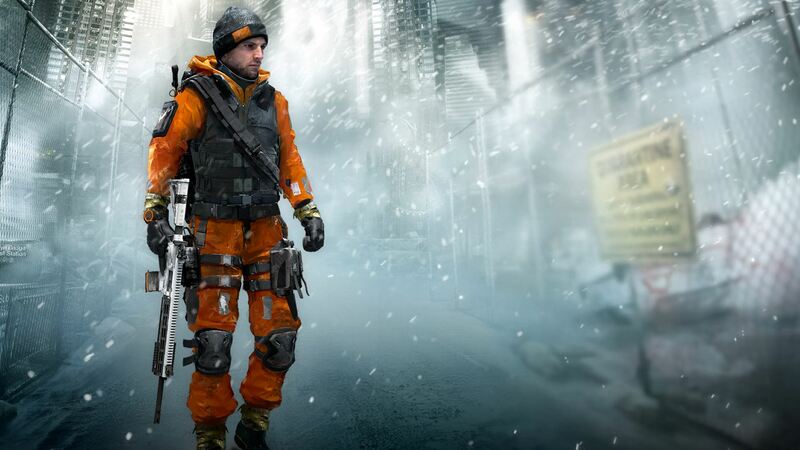 Furthermore the pre-order “Hazmat” gear pack is also listed there. 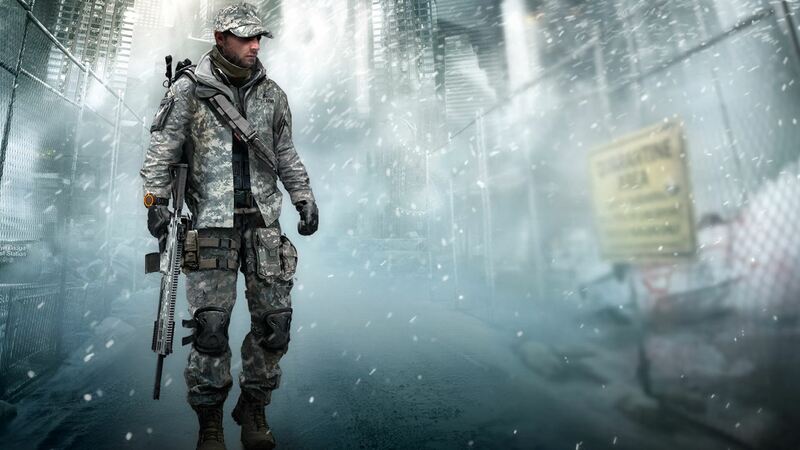 The Xbox Store is not the only place where the National Guard Set started to cause confusion amongst the fans. We have found an ad for the Gold Edition on STEAM that describes this DLC not even as bonus or exclusive content, it’s just marked as Early Access. This would mean, that everybody could obtain this gear set while playing the game, buyers of the Gold Edition would just be able to equip it earlier than others. Nobody seems to know what the status of the National Guard Set is and also the Ubisoft Support is not willing/able to give a definite answer regarding this topic. Hopefully this gets cleared out when the release comes closer, we will try to keep you up-to-date about this!